Combating malnutrition, one chicken at a time: The one-child-one-chicken rule? 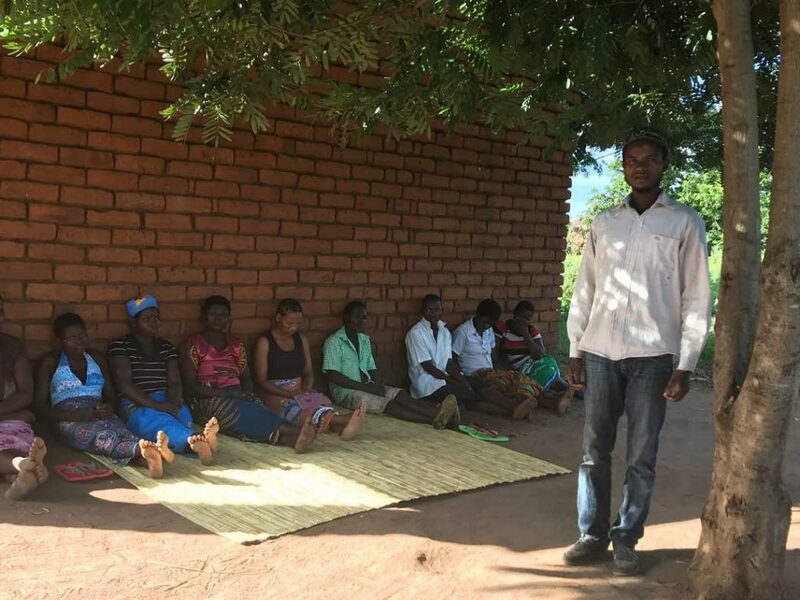 “How about a one-child-one-chicken rule?” One of the women farmers breaks the contemplative silence during a field training on rural poultry-keeping in Malawi’s Chiadzulu District as part of the Crop-Livestock Integration and Marketing in Malawi (CLIM2) project. “If each child owns a chicken, I bet we could afford to eat eggs three times a week,” she continues. Merry is a mother of three and a member of the Chimtengo Youth Club, and her innovative idea is being adopted into the sustainable nutrition bylaw for vulnerable families at community level. This is particularly significant considering the level of malnutrition in Malawi: according to a UNICEF report, 21% of children admitted into outpatient facilities around the country in January 2018 were suffering severe acute malnutrition. Merry was responding to remarks made by CLIM2 project leader, Dr Andre van Rooyen, who said he would like to see each child in the community eating three eggs a week. “We want to help you build a resilient livelihood and a hunger-free community, lifting yourselves out of the cycle of malnutrition and poverty,” said Dr van Rooyen. He emphasized the importance of protein in the cognitive development of children and pointed out that eggs are a complete protein food. With protein, young bodies have the building blocks they need for cell regeneration. Eggs, he added, are excellent sources of vitamin D which is important for the bone health of growing children. Along with the aim of curbing malnutrition, the 30 youth in the Chimtengo chicken club, spearheaded by the CLIM2 project, hope to increase food security and livelihoods of its members. “Farming as a business will help us to ease financial pressure on our members, increasing nutritious meal choices in our households, allowing us to reinvest in the business and providing better shelter for our families,” said the chairman of the club. However they hope to see their project stretch even further than the club, to drive economic growth in the area. Poultry is a growing business in rural Malawi, with about three in five rural households keeping chickens. Why? Because chickens, particularly the local breed, are hardy, inexpensive to keep and a popular and economical source of food among the local population. The local breeds, fed with supplementary sorghum grown in the villagers’ fields, can be raised in confined spaces with little capital investment, lowering barriers to entry for youth and women who struggle to access land and credit for capital. Table 1 Composition of an egg: percent of daily values are based on a 2,000-calorie diet. Poultry is helping women make significant inroads into agriculture in Malawi. Increase in poultry production and sales for women leads to quick income generation and enhances women’s socio-economic status, giving them greater decision-making opportunities at the household level. In addition, it boosts their self-esteem and standing, giving them the confidence to contribute within Innovation Platform meetings. Because chicken typically stay close to home and are relatively easy to raise, many cultures have traditionally regarded them as women’s livestock. And women who sell chickens are more likely to reinvest the profits in their families. Said Lousy, a committee member of the women’s group, “I am proud to be part of this business group. As a mother, I will use the profits to buy basic necessities for my family, and also use eggs from our farm in a porridge recipe to nutritiously feed my child,” she continued. The project is assisting with training and capacity building, the aim being to increase chicken and egg production through better poultry management skills. Two chicken clubs were established in the Chiadzulu district, one for women and the other for youth, to provide chicken meat and eggs for members’ household consumption, as well as profitable returns by selling chickens and eggs to the local market. Chickens present a major opportunity to increase household incomes and nutrition for marginalized groups in Malawi and, as part of the CLIM2, could hold the key to tackling widespread food shortages and community malnutrition by scaling up protein consumption habits as well as paying dividends for small businesses and groups.